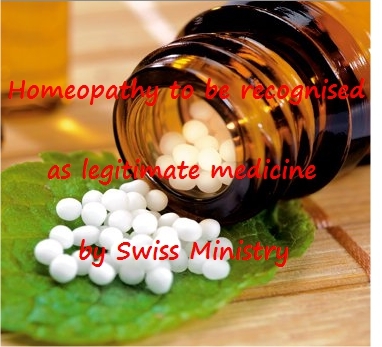 After being rejected in 2005 by the authorities for lack of scientific proof of their efficacy, complementary and alternative medicines made a comeback in 2009 when two-thirds of Swiss backed their inclusion on the constitutional list of paid health services. As a result of the vote, these treatments are covered by basic compulsory insurance as part of six-year trial period from 2012-2017. However, they were all required to prove their “efficacy, cost-effectiveness and suitability” by 2017. In a statement released on Tuesday, the interior ministry said it had come to the conclusion that it was “impossible to provide such proof for these disciplines in their entirety”. They will thus be treated on a par with other medical disciplines, when it comes to health insurance. The ministry plans to continue allowing reimbursements of treatment costs by compulsory health insurance, provided they are administered by certified medical doctors. However, as is the practice for conventional medicine, certain controversial practices under these complementary therapies will be subjected to further scrutiny. The ministry has initiated a consultation process - open until June 30, 2016 - on the proposed modification of the regulations.